I really like the sketch over at Retro Sketches this week so I combined that with a need to use up some of the huge amount of stash I’ve acquired over the last few years. 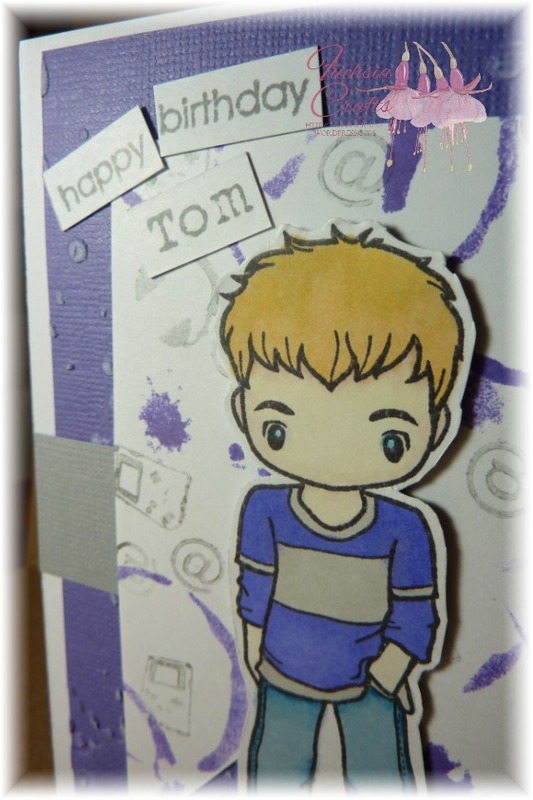 For once, this just involved some cutting & sticking (which isn’t normally my kind of card at all these days), and I have no idea where any of it is from! 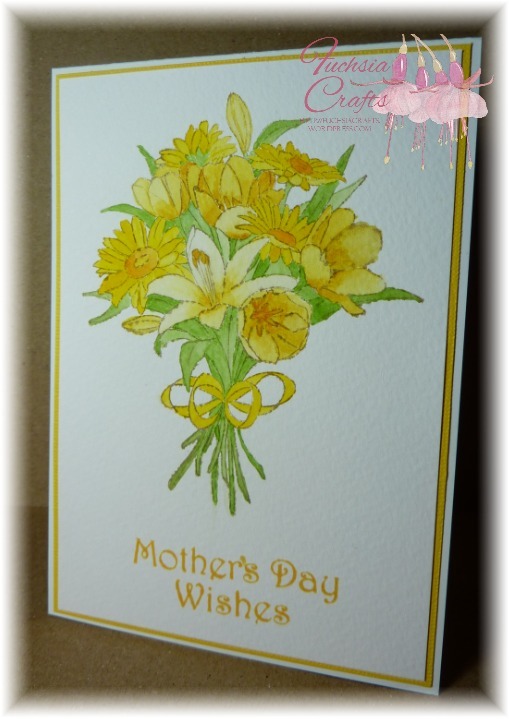 I’m going to enter this into Miss Di’s snippets playground although I must say that this card feels like cheating! This card takes me right out of my comfort zone! The sketch over at Sketch Saturday drew my attention again this weekend, so it seemed appropriate to use one of the stamps which was my fantastic prize for winning over there a couple of weeks ago. This main image is by the Greeting Farm (Special Autumn), coloured in Promarkers then fussy cut. The white background cardstock was sponged in Memento Grape Jelly through a stencil by TCW called Coffee Splotch, then stamped with a few stamps from Phill Martin’s Teenage Boy’s Montage range in Hero Arts Charcoal. The purple Coredinations cardstock was run through my Fiskars Fuse with a Sizzix Alterations Ink Splats embossing folder, then sanded back a touch. 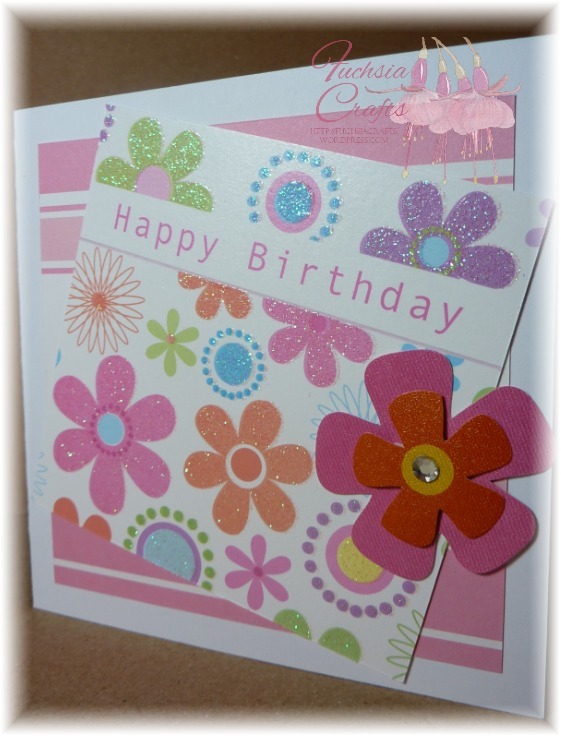 The greeting is a mix of an unknown “Happy Birthday” stamp & letter stamps by Craftwork Cards. 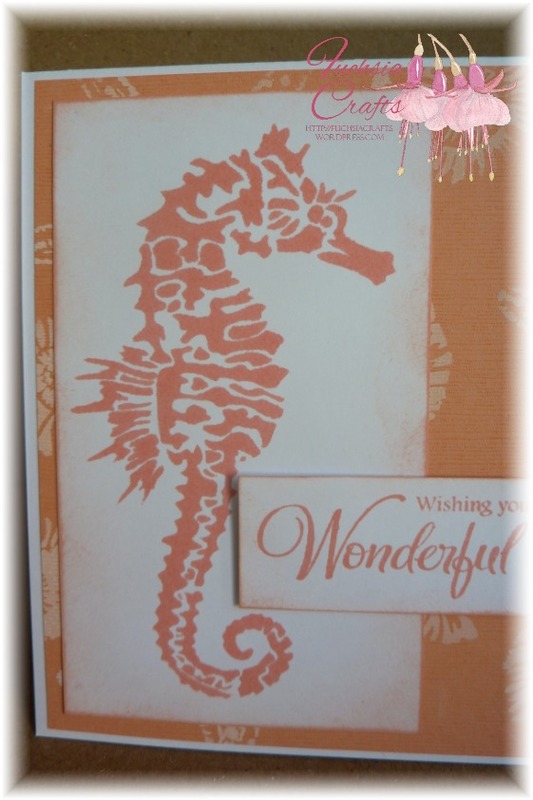 To make the background I used card that was in my stash then I sponged Hero Arts Unicorn ink through a couple of TCW stencils (Mini Nautilus & Mini Sea Creatures). 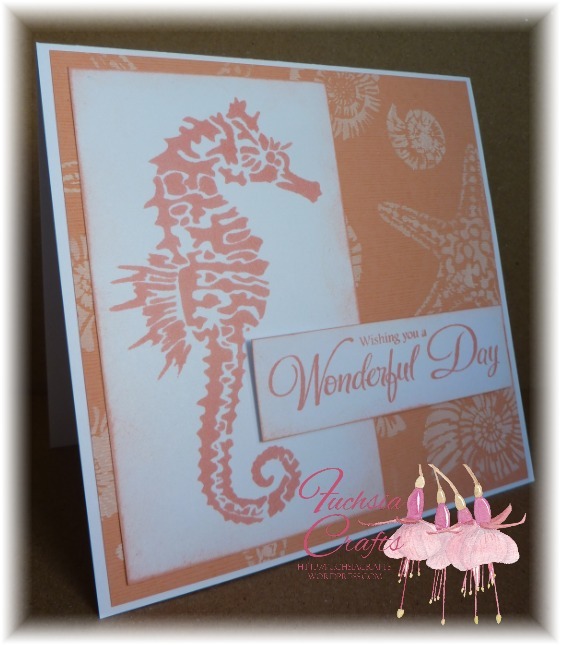 The seahorse was from the Mini Sea Creatures stencil again, this time sponged in Hero Arts Soft Cantaloupe onto Limetree Crafts card. 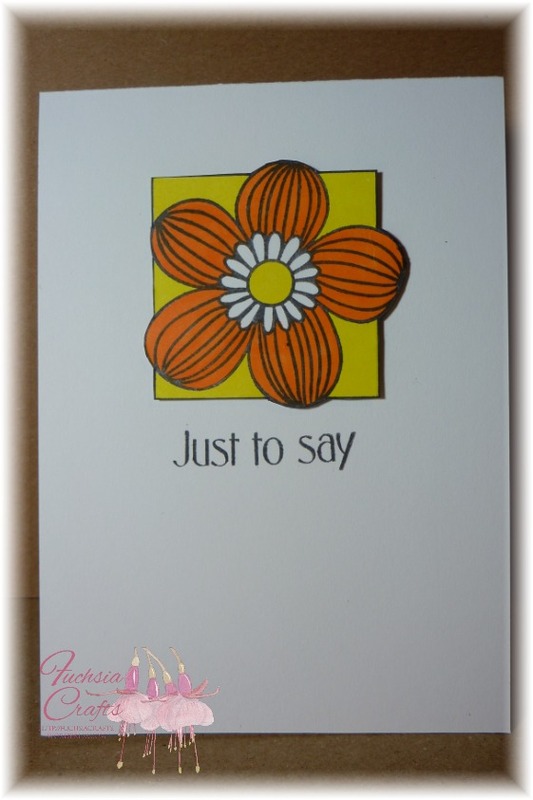 An Inkylicious greeting stamped in Soft Cantaloupe added the finishing touch. 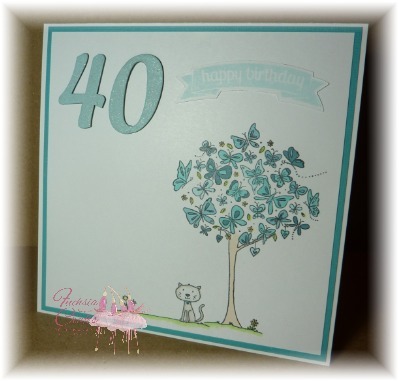 My crafty friend Vicky celebrates her 40th birthday today. I know she loves this stamp by Little Claire so it was an obvious choice for such a special occasion. I’ve coloured it in lots of different shades of Promarkers, then used Hero Arts ink for the Clearly Besotted greeting & simply swiped a couple of layers of the same ink over the bare chipboard numbers. A little Wink of Stella added just a little touch of sparkle. Happy Birthday Vicky! Just sneaking in under the wire at Less is More with this one! The theme is yellow & green, I think I can safely say this qualifies. 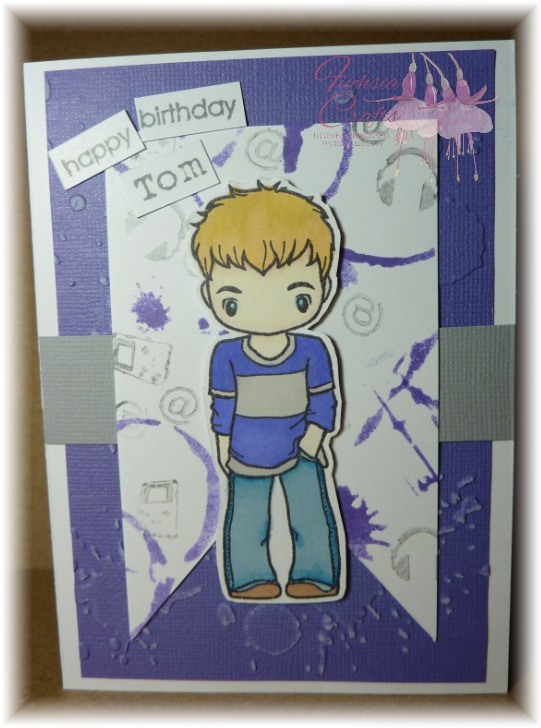 The stamp is by Papermania, stamped in Distress Ink in Pumice Stone then watercoloured with Cotman watercolours. 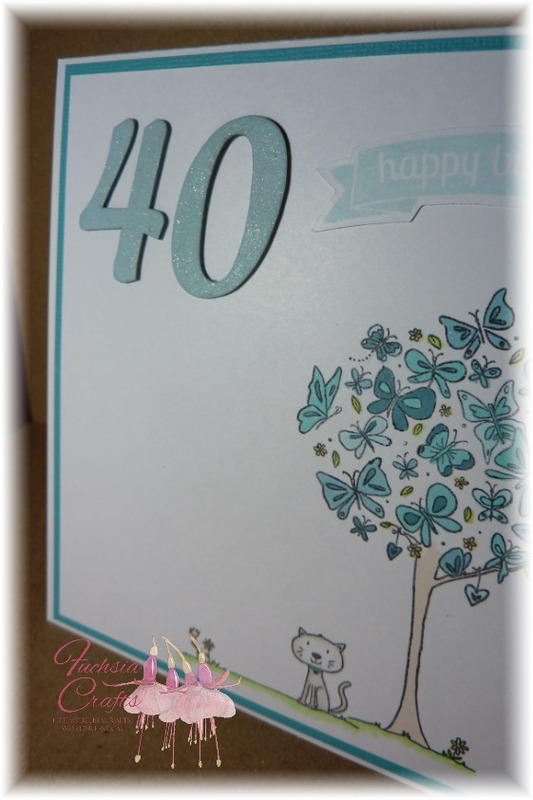 The greeting is stamped in Hero Arts Butterbar Shadow Ink. 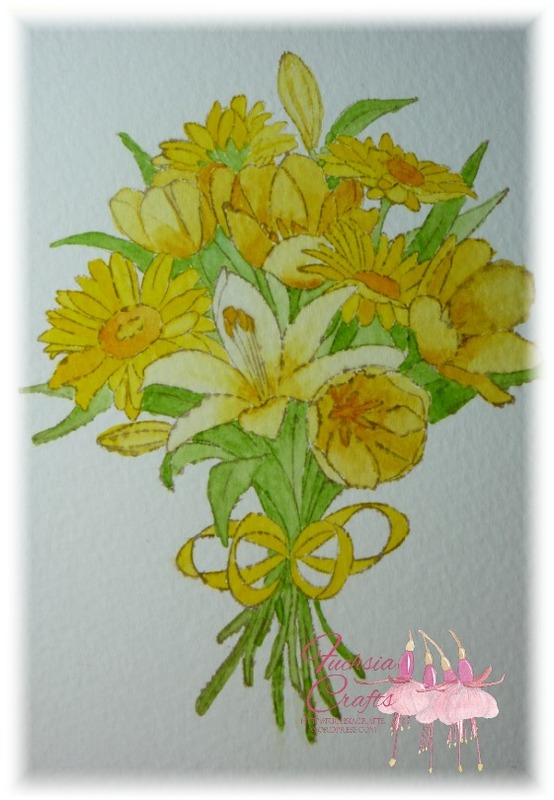 I’ve also just spotted that the current challenge over at Lisa B Designs is Spring Watercolours so I’m entering this card there, too. The sketch over at Mojo Monday caught my eye this week, so I decided to play along. 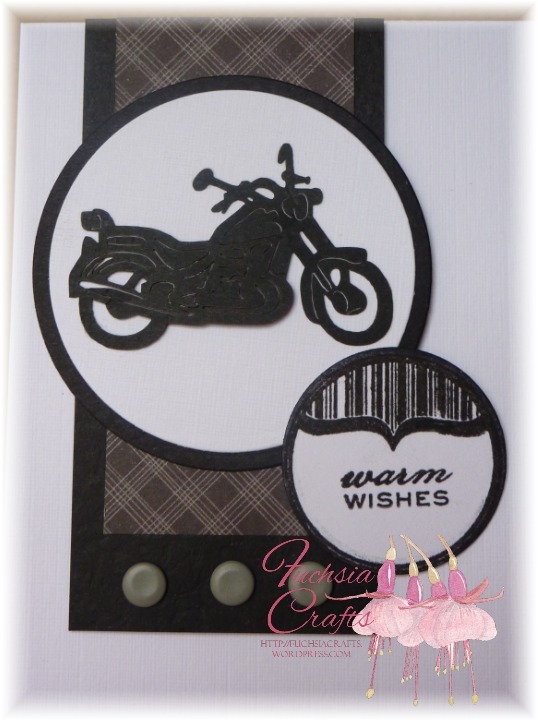 This card started from a need to start using up some of the stash I’ve had for years – the bike was purchased from Lakeland who stopped doing crafty stuff several years ago! 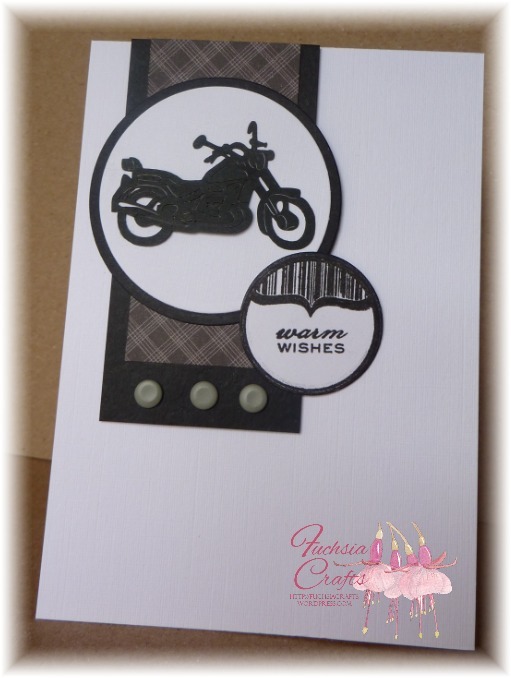 The backing paper is by DCWV and the black cardstock has been in my stash for years. The greeting is stamped from a set by Paula Pascual. The pictures are watermarked with my new logo, which incorporates a painting by my late father.